“the most powerful tool of communication in the classroom and it is fundamentally central to the acts of teaching and learning”. “The State of Speaking in Our Schools” was commissioned by Voice 21. It reveals that oracy (learning to talk well, and learning well through talk) provides an essential foundation for pupils’ academic and personal development. Unfortunately it also finds that time pressures and prioritisation of other tasks (like writing) gets in the way of teachers using oracy to its full potential. The report is the first of its kind. It presents exclusive new survey data from over 900 teachers across the UK, findings from 26 interviews and focus groups in 13 schools across the country, as well as 11 interviews with academics and teaching experts. Teachers across the UK believe that oracy is critically important. Interviewees around the country consistently emphasised this point and over 68% of the 906 teachers who responded to a survey carried out by YouGov said it is ‘very important’ to develop pupils’ skills in relation to oracy during their lessons (63% say this of numeracy). Teachers’ belief in the importance of oracy is backed up by a substantial body of academic evidence. For example, teachers are are well-aware that oracy is the bedrock of pupils’ language and communication and that it is vital for social and emotional development. Yet strikingly, despite the importance employers place on oral communication, less than a third of teachers (27%) believe it contributes ‘a great deal’ to pupils’ job prospects. On the other hand, primary and secondary pupils themselves frequently recognise oracy’s importance in relation to employablity. giving pupils feedback on what they say. Schools are not consistently supporting oracy. Only 1 in 4 (27%) take into account pupils’ verbal contributions during lesson observations, and only 1 in 5 communicate with parents about their children’s progress in the area. Opportunities for pupils to engage in oracy outside the classroom also tend to be limited simply to speaking in assemblies. This is worrying, since a large body of evidence shows that high quality talk should be promoted in a range of educational contexts and that it should underpin good teaching and learning across the board – not just in isolated silos. Introducing a discrete curriculum for oracy at Chorlton High School in Manchester. Time is the greatest barrier to better oracy provision. Nearly a third of teachers (31%) say this limits how often they initiate oracy-based activities. Teachers’ sometimes worry that shy and under-confident pupils might struggle with talk-based activities. This was mentioned by around a quarter of teachers, whilst around a fifth feared negative consequences for pupil behaviour. Teachers often prioritise other tasks. 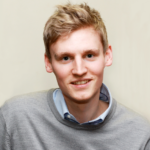 Writing, for example was particularly likely to take precedence, often due to the curriculum and exam pressures. Teachers’ frequently lack confidence and expertise when it comes to oracy. This is exacerbated by a lack of training: fewer than half our sample had received any training in the area over the last three years, and a majority (53%) would not know where to find further information if they wanted it. School leaders do not always endorse oracy as actively as they need to. Our report offers a series of solutions to these challenges. It also recommends actions that could raise oracy’s profile and the quality of provision. 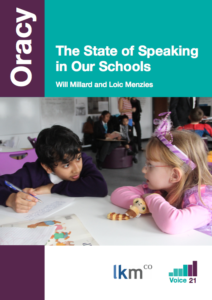 Oracy: The State of Speaking in Our Schools will be launched at an event at the House of Lords on Tuesday evening. The report is being published in conjunction with the English Speaking Union’s (ESU) report, Speaking Frankly. Voice 21 is using these reports to inform its independent Commission on oracy, which will begin exploring ways in which schools can tap into oracy’s potential in the new year. All figures, unless otherwise stated, are from YouGov Plc. Total sample size was 906 adults. Fieldwork was undertaken between 16th – 28th August 2016. The survey was carried out online.